On Friday, September 25th Sagicor, a Caribbean Insurance Company, held its official launching for the 2015 Sagicor Visionary challenge. The Visionary Challenge is sponsored by Sagicor in collaboration with the Caribbean Science Foundation and the Caribbean Examinations Council. The challenge is held across the Caribbean and offers secondary students the opportunity to develop scientific solution for common problems. Belize is one of the seven participating countries where national competitions are hosted, with the winners advancing to the regional competition. The other participating countries are Dominica, Barbados, Trinidad, Antigua, Guayana and St. Lucia. Present at the launch, representing the San Pedro High School (SPHS), was Head of the Science and Mathematics Department, Ricardo Sedacy. According to Sedacy, this year’s challenge is bigger than previous ones, with more motivational factors which will definitely encourage students to put their best in the challenge. “At the launching there were between 12 and 16 other high schools. The main idea of the launch was to encourage students to participate in this competition, where they will be using the STEM method which stands for Science Technology, Engineering, and Mathematics to come up with a problem and at the same time with a solution. It is not just about winning, but rather learning from the experience of the Sagicor Visionary Challenge. We have already begun working with our students and for this upcoming challenge we want to take up two teams to represent us,” said Sedacy. He mentioned that there will be a change in the prizing of the challenge. “Instead of the school obtaining $10,000 dollars in equipment, the team will also get $2,000 dollars cash and a tablet for each member of the team and the teacher,” stated Sedacy. After the team has organized, its members need to submit an abstract of the problem they will be working on by mid October. Later on, they will need to submit a summary of the solution to the problem. The organization of the teams at SPHS is being spearheaded by Sedacy, and Biology and Integrated Science Teacher Shakira Coleman. According to Coleman, the teams will also need to work on a proposal which will be due on the day of the challenge.”This time we want to integrate the entire school, open the competition to all students regardless of their academic patterns. The opportunity to participate is open to students from the business and general group. The new students that are showing interest have been briefed on what the Sagicor Challenge is all about. The first thing we did was give them information on the Challenge in the form of a workshop, and we have given them a week’s extension for them to come up with an environmental issue and what are some solutions to the issue. This will be like a proposal which they will present in the classroom,” said Coleman. Coleman explained that after the students present their proposals on the class rooms, the two best ideas will be picked and prepared for the Challenge. “We will have some sort of an elimination round. The judging will not only be done by Sedacy and I, but by all the other teachers from all the other fields that will assist in picking the two best teams. From there on, we will work with them so they are up to standards with their presentation methods, coming up with the proposal and have it ready by the middle of October, and then get them going for the Challenge. We really believe we can get some good results, since students are already very excited about the event,” stated Coleman. One of the students who is getting to participate in the project is third form student Lester Alvares, 16. 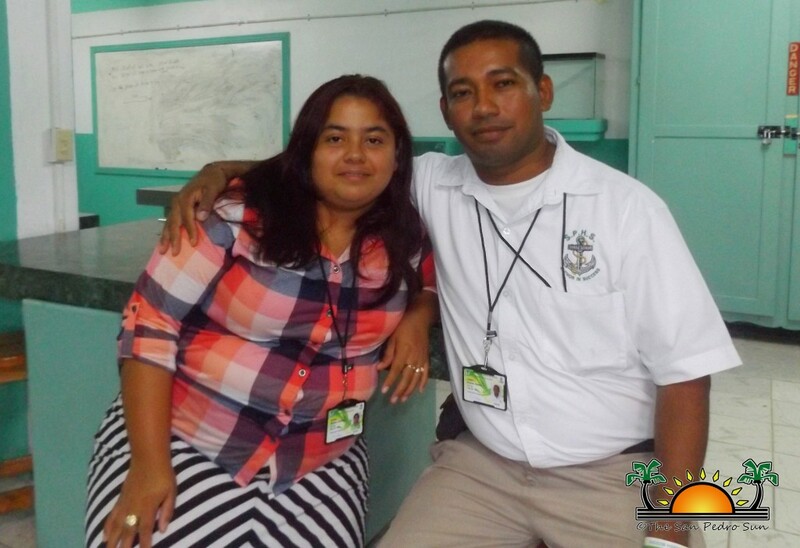 This is his second time in the Sagicor Visionary Challenge and he can’t wait to get started. “It’s an amazing experience; you get to see different experiments, new things that you have never seen before. You also get to know different people from other schools, and from last year’s event I learned that if you want good results in any project or competition, you need to work as a team. Team work is the key for any accomplishment,” said Alvares. SAGICOR Belize Sales and Marketing Executive, Abel Simpson explained the importance of the competition, as it enables students to think beyond what instructors teach them. “There are many talented people in our country. This competition really is designed to challenge them to get away from television and everything else. They come up with very innovative ideas and solutions to the challenges facing their communities and their schools. We hope to continue developing this human potentiality and put it out there in the global space and attract the private sector, because as you can notice, we have some very excellent proposals that can be very useful for our communities and the advantage of the private sector, who can provide the funding, so that they could actually become a reality,” said Simpson. The Sagicor Visionary Challenge was initially scheduled to take place in November of this year. However, due to the General Elections taking place earlier than expected, the project has been moved to the first quarter of 2016.